The antibody met the trial’s primary objective of good tolerability in the 19 recruited patients. In addition, the antibody helped to stabilise the disease and shrink tumors in patients with uterine cancer. 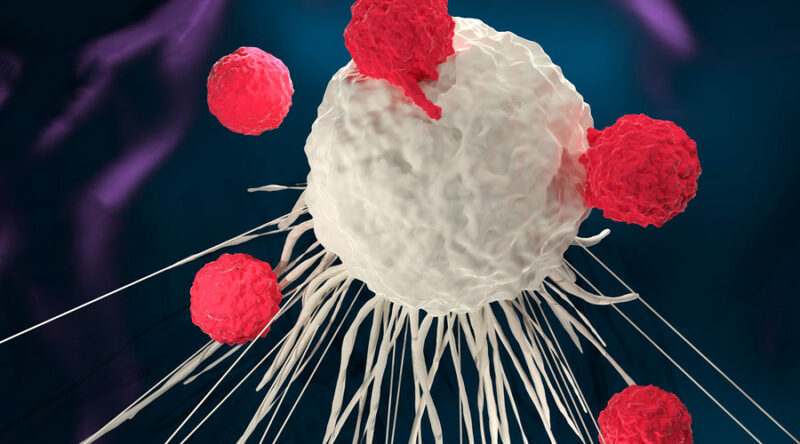 “Here, we have an antibody that is not impacting on T cells directly nor on the proliferation of cancer cells, but rather unleashing an endogenous safeguard mechanism resulting in cancer cell killing,” Patrick Mehlen, CEO of Netris, told me. Netris’ antibody is the first cancer therapy to target netrin-1, a secreted protein that guides cell growth and is overexposed by tumor cells in cancers such as ovarian and breast cancer. The protein prevents the natural self-destruct mechanism in cells, letting tumor cells multiply unchecked by the immune system. Following these positive results, the phase I study is to be extended with another 24 patients to confirm the safety and efficacy of the antibody. The company aims to continue developing the antibody as a monotherapy, which is expected to enter the market in 2023. In addition, Netris plans to develop its antibody in combination therapies, with the first patients expected to be enrolled in clinical trials in late 2019. Netrin-1 is just one of a variety of proteins expressed by tumors to inhibit the self-destruct mechanism. Another antibody target for the company is Sema3E, currently in preclinical development.